On the way to a concert this past Thursday, singer Yonatan Razel paid a shiva call to the parents of Naftali Frankel HY”D. 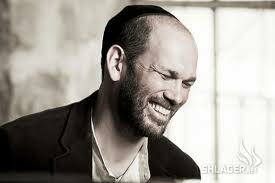 In the video below, watch my neighbor Yonatan Razel performing the Israeli Music Industry’s 2013 song of the year: Katonti. I consider myself a “Razel-ite”! I play Yonatan’s two cd’s all the time. Katonti is my favorite. Racheli Frankel is amazing. Her emunah is remarkable. She shines as a diamond in the midst of great heartache and distress.